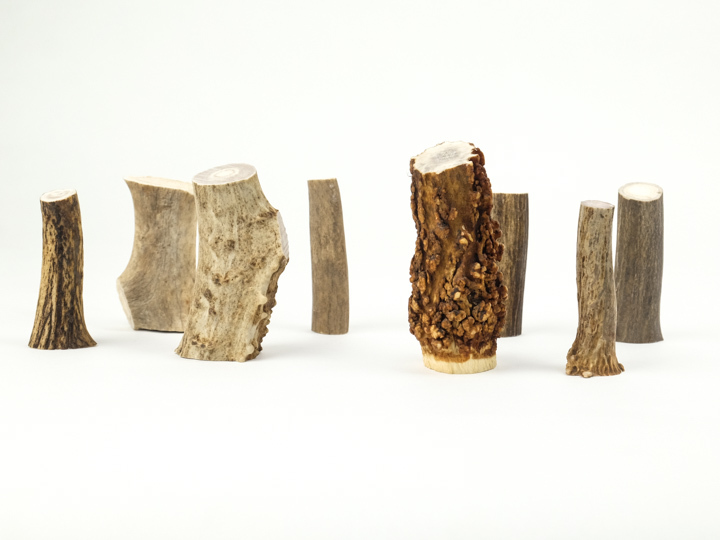 The antler tips are an assortment of white tail deer, mule deer, and elk. They are ideal for making pendants, jewelry, awls, and picks. Supplies vary with time, but these are generally in stock at all times. The prices below are for undrilled tips. We can drill the tips for the prices shown below. We can sort for just white tail deer, mule deer, or elk for an extra charge. See R-158-SORT below. Most orders are shipped as an assortment of styles. The white tail deer pieces tend to be whiter, smoother, thinner, and pointier than the others; the mule deer are a bit stubbier than the others; and the elk are more rough on the outside. 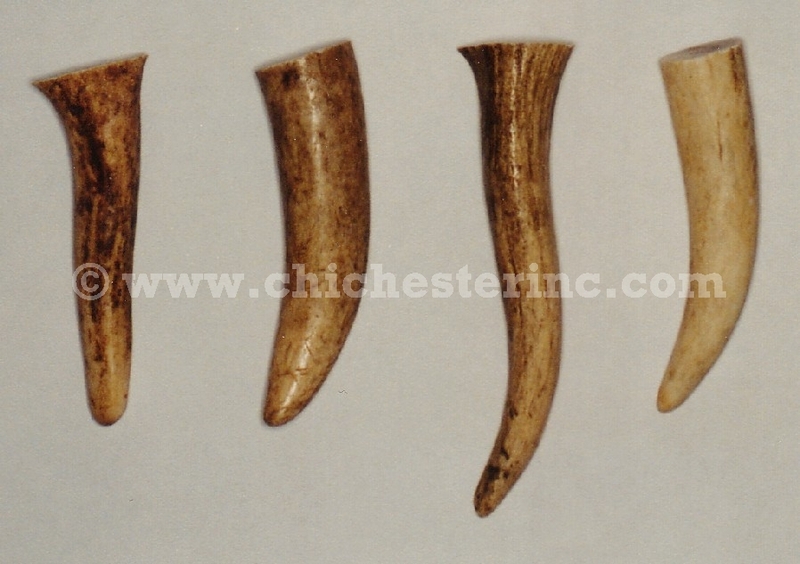 Click on the above picture for a better view of the different types of antler tips. 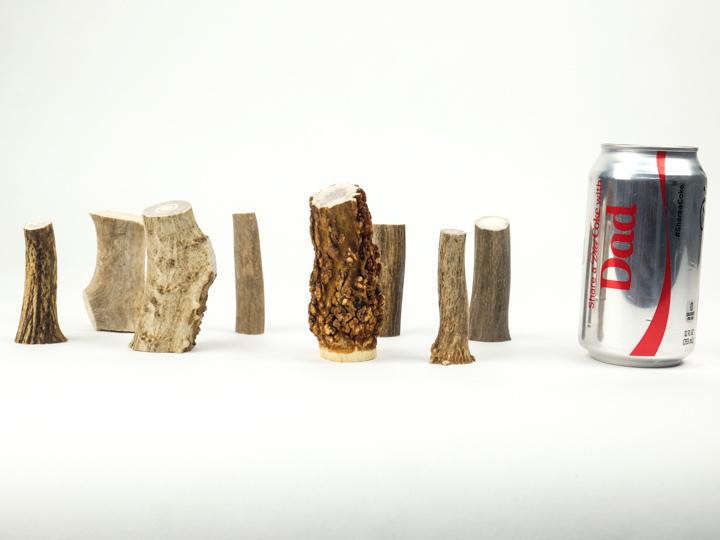 These are the same tips we use to make our Antler Tip Necklaces. These antler pieces were specially selected for making pens. They are not wider than 5/8". These are an assortment of white tail deer, mule deer, and elk. There are approximately 8 pieces more or less per pound, depending on the size of the pieces chosen. 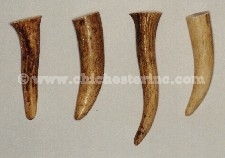 R-158-P Antler Piece for Pens 2.5" by 5/8" to 3/4" US$33.85/lb. US$21.75/lb. Genus and species of mule deer: Odocoileus hemionus. Wild.